OS X is one of the most stable operating systems available on the market today. Even so, it still needs regular cleanups and maintenance – your Mac’s hard drive gets clogged up with redundant files that accumulate over time and can slow your computer down. In the table below, we compared the products according to their most relevant features for system cleanups. We also ranked each program based on how well it meets the user’s needs (see the bottom row). Click the arrows in the first column for more details. Movavi Mac Cleaner showed impressive results in all categories. Its clear and intuitive interface helps you to quickly master the software. The program also includes an extensive range of cleaning, optimization, and security options. The support team is always ready to answer questions about the app via email or live chat. All this comes at a very affordable price of $39.95. 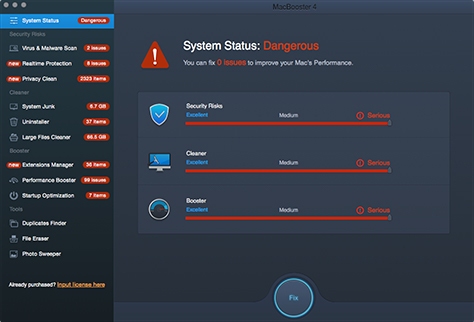 MacBooster by IObit is a powerful utility with a well-designed user interface. 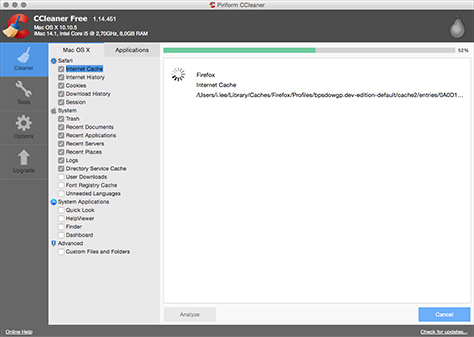 The program includes an almost identical set of cleaning and optimization features as Movavi Mac Cleaner. However, the standard version of MacBooster costs $20 more and does not provide a live chat support option. 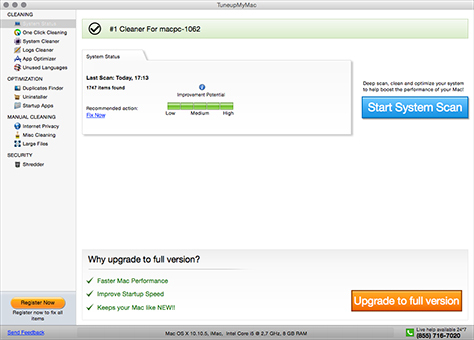 CleanMyMac by MacPaw is a good, stable program that includes all essential cleaning features, except for the duplicate finder. The developers offer a separate product to handle this task, while almost all other competing products provide this capability as part of the standard product license. 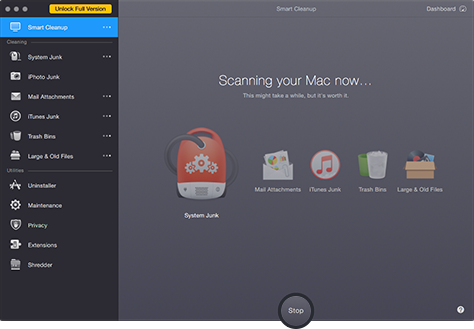 CleanMyMac also lacks security tools like an antivirus scanner or a firewall. MacShiny by Cyan is in the middle of the pack. While it does have an attractive and intuitive interface and an impressive set of cleaning features, its performance during our tests was far from stable. It is also missing some important optimization and security tools like random-access memory (RAM) clearance and a firewall. Additionally, the license fee is sold through monthly payments, which some users may find discouraging (and expensive). 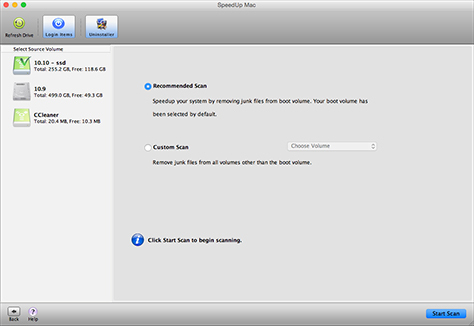 Stellar SpeedUp Mac is a good choice for users who don’t need much from a cleaning program. It lets you get rid of junk files, empty Trash, uninstall apps, and use a few additional cleaning features. However, it does not have much to offer beyond this – the app is unable to shred files, clear out RAM, or protect your system with security tools. Even though TuneupMyMac includes all the important cleaning tools, it does not compare well with most of the products on this list. Its most serious drawbacks are the lack of tutorials on the developer’s website and the absence of security tools or any means of optimizing the system within the program itself. There is also no iPhoto Trash cleanup capability. CCleaner is the cheapest option among those in this review, but it also happens to be the least capable. Offering only very basic functions, it’s really only suitable for the simplest of cleaning tasks. So, which Mac cleaner is the best for you? 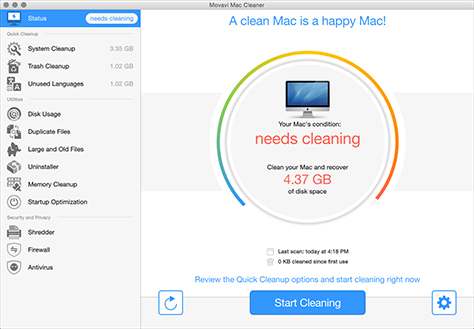 It all boils down to your needs and preferences, but if you’re looking for powerful software in a smart shell AND for a fair price, Movavi Mac Cleaner looks like the way to go. Click the buttons below to give it a try or visit the product page. 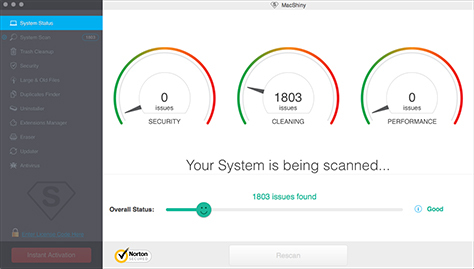 * For this review, we used Movavi Mac Cleaner 2.4, MacBooster 4, CleanMyMac 3.6, MacShiny 3.9.7, Stellar SpeedUp Mac 3, TuneupMyMac 1.17, and CCleaner 1.14.